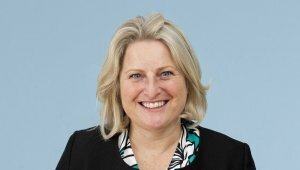 Partner, Nicola Plant from our Private Client team speaks to The Times about her best long-term financial decision. Nicola says, "The best long-term financial decision I've made was at age 23 when I decided to return to university to study law and eventually qualify as a solicitor. At the time I was working as a medical rep for a pharmaceuticals company. I had a decent income and company car but I hated it. I spent some time thinking about and researching what sort of careers might suit my personality and skill and eventually settled on law."